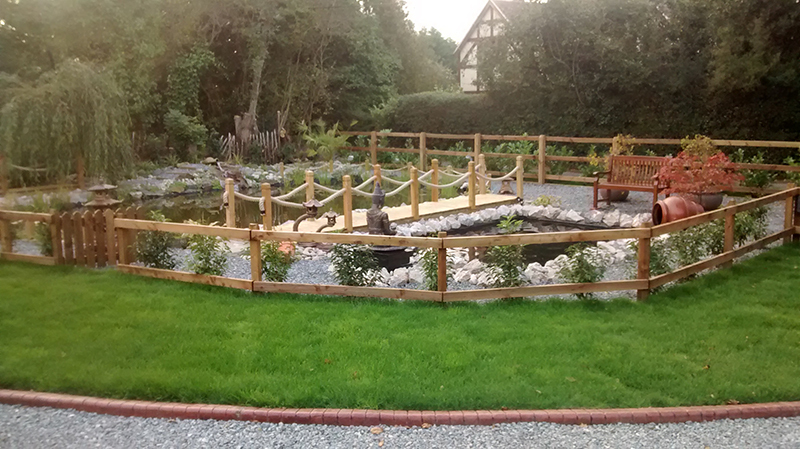 Welcome to the Essex Aquatics Koi Pond Construction page. 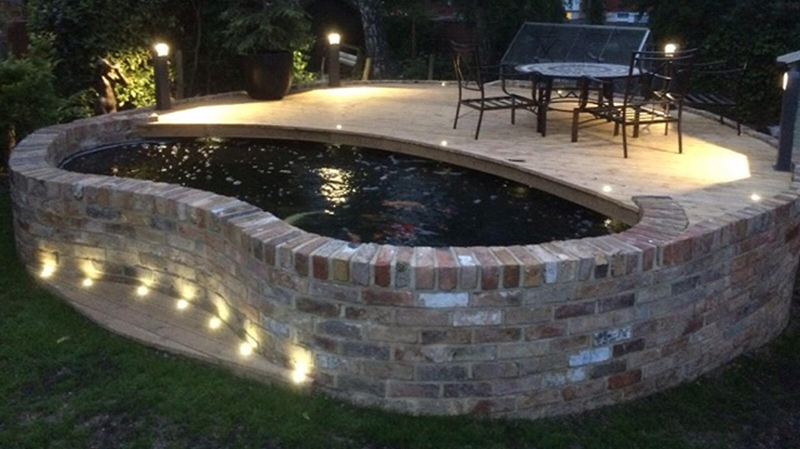 Here at Essex Aquatics we specialise and are vastly experienced in koi pond construction we are situated in Chelmsford, Essex but cover the whole of Essex, London and other surrounding areas. We are able to build a variety of different koi ponds with different options on filtration etc. Our specialist knowledge of filtration allows us to pair the pond with the correct sort to ensure crystal clear water. We treat every project individually creating the perfect koi pond for each client. We are able to offer different options as to the material to use to waterproof the koi pond. Rubberised pond liners, custom bespoke pond liners, pond paint and fibreglassing all carried out by ourselves. We guarantee all our work ensuring everything is leak free and running perfectly. We construct and build Koi Ponds with specialist koi pond windows and viewing windows. These bring a completely different element to your pond and can be a superb addition. This coupled with decent filtration it is possible to view your fish all year round. We custom build and install all windows on site and can use glass or acrylic depending on the situation. One of the most important thing can be linking up the correct filtration to your koi pond. We highly recommend using a bottom drain. All ponds we visit with a bottom drain are usually kept a lot clearer by this more efficient method. We can link these up using: bead filters, multibay filters, nexus filters, vortexes, sieves, UV units, protein skimmers, pond heaters, in-wall skimmers all equipment is installed with union valves and all independently controlled to allow easy maintenance. We also offer services to install filtration systems, finishing off and waterproofing ponds, fibreglassing ponds, call us today to see how we can help. Areas we Cover: The whole of Essex including all of the major towns such as Billericay Braintree Brentwood Burnham Chelmsford Chigwell Colchester Epping Harlow Hockley Loughton Rayleigh Southend on Sea Wickford and everywhere inbetween. But also travel to all of North London, East London, South Suffolk and North Kent. If you are not listed in here please feel free to contact me to see whether our catchment area reaches you. 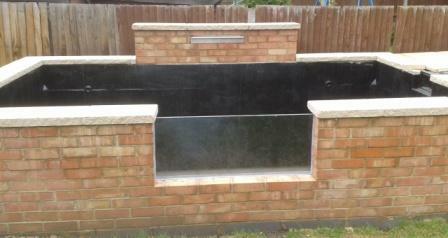 If you are interested in getting your koi pond built by Essex Aquatics then contact us today. Call Elliot on 07732197496 or email info@essex-aquatics.co.uk, we will arrange a visit at a time to suit you and of course free of charge to provide a no obligations quote.